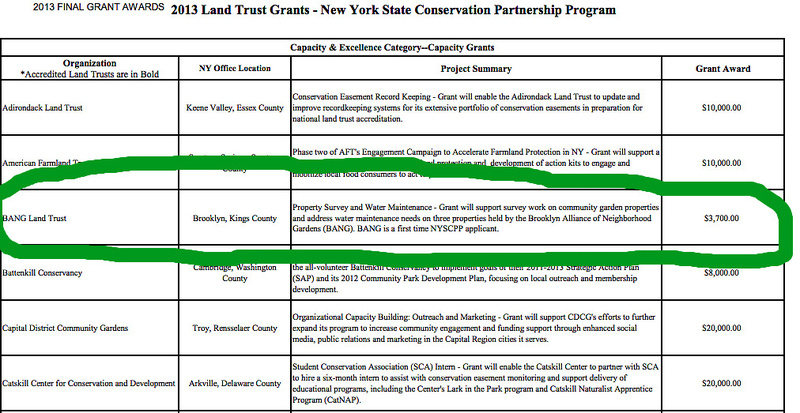 Thanks to the LTA for granting much needed funds to get our BANG Land Trust off the ground and running! The New York State Department of Environmental Conservation (DEC) awarded Conservation Partnership Program grants totaling $1.4 million to 57 nonprofit land trusts across the state, DEC and the Land Trust Alliance announced today at a news conference at the Mohonk Preserve in Ulster County as part of DEC’s weeklong celebration of Earth Day. The grants, funded through the state’s Environmental Protection Fund (EPF), will be matched by $1.3 million in private and local funding. With our Capacity grant, BANG will be able to pay for property surveys and water maintenance for our gardens. Much thanks to Sheila McDevitt and everyone who worked on putting the grant request together. And much thanks to the LTA. 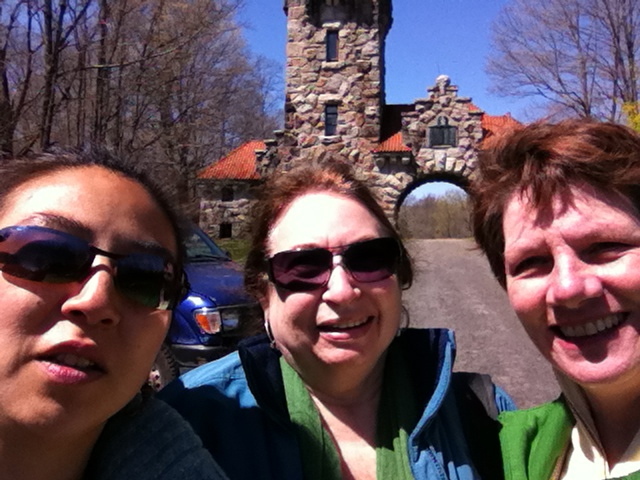 This entry was posted in Events, Land Trust and tagged grants, LTA, Mohonk Preserve by bang11215. Bookmark the permalink.